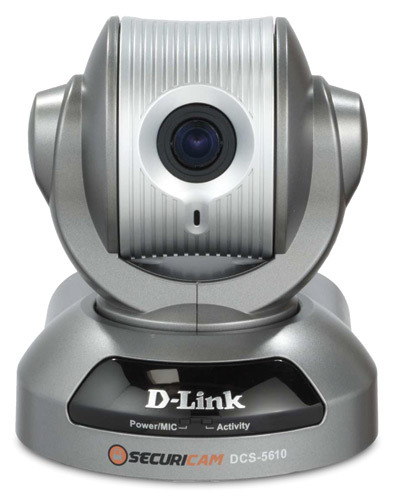 D-Link's DCS-5610 PoE Network Camera features Pan/Tilt/Zoom capabilities, two-way audio support and advanced video motion detection with email alerts. * Use of audio or video equipment for recording the image or voice of a person without their knowledge and consent is prohibited in certain states or jurisdictions. 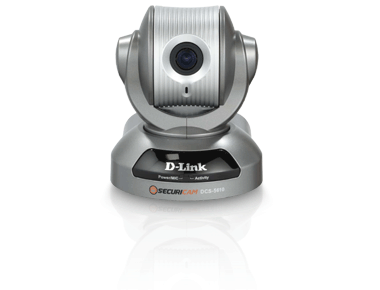 Nothing herein represents a warranty or representation that the D-Link product provided herein is suitable for the end-user’s intended use under the applicable laws of his or her state. D-Link disclaims any liability whatsoever for any end-user use of the D-Link product which fails to comply with applicable state, local or federal laws. * The mobile device must be Internet-ready, support Real Time Streaming Protocol (RTSP) and be equipped with a 3G video player such as PacketVideo™, QuickTime™, or RealPlayer™, and have Internet access.